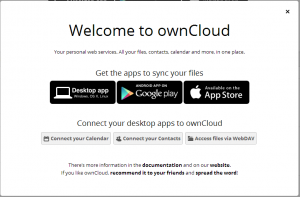 In Part 1 of our article series, we have explained the background behind our ownCloud installation on a shared web hosting service. In this second part, we will focus on getting the product online, ready for the the first login. This entry was posted in ownCloud and tagged OwnCloud on 1 November 2014 by Fried. The objective in this series of article is to get a complete cloud service up and running for you and your family, with shared files, shared calendar and contacts. We will configure the server of course, but also a variety of clients: Thunderbird in Windows and Linux, Android phones, and of course we will check the possibilities of the web access. In the first part of this article series, we are going to give some background information about cloud solutions and the possible technical choices. If you already want to start with the technical action, please go directly to Part 2! Why would you build up your own cloud service? Well, there are many good reasons! First, your data remains under your control. You don’t have to accept abusive terms and conditions like “we could access your data if we need to”. You have the guarantee that removed data is really removed – after all, who knows what happens when you delete a file in Dropbox? And you will make yourself a little pleasure; the NSA will have another nut to crack! Another good point is the flexibility. You can decide which features you would like to have, and how you would like to implement them. You can choose to build a home server, or just select a web hosting service. You can host your office files, but also contacts, calendars, pictures, music… It’s all up to you! Finally once your cloud service is up and running, you get a scalable service which you can share with your family or friends. Shared calendar? No problem. Latest photo gallery of your kids? Just share it via email! I remember testing Owncloud since the earliest versions, and being constantly disappointed, either due to the poor file synchronization performance, or because of bugs making the solution more or less unusable. 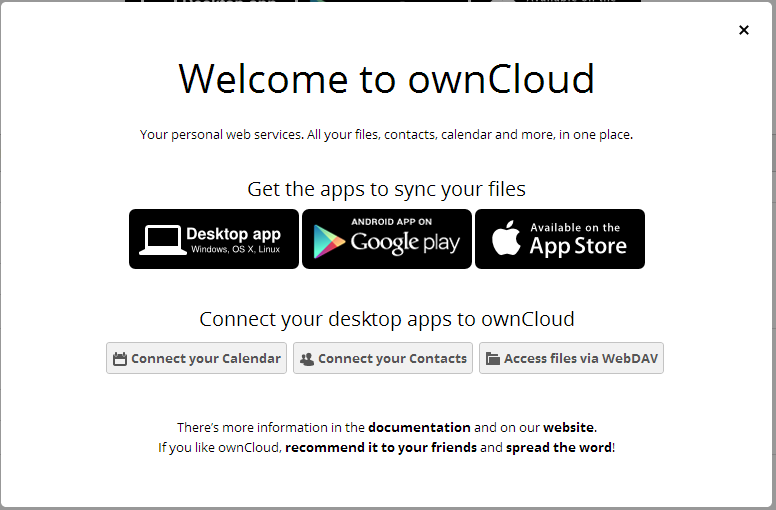 But since version 5, Owncloud has got better, and I started to use it for our contacts and calendars. Version 6 was better again, but file synchronization was still weak and some features were missing. Finally, the version 7 has arrived… and it became my Owncloud 1.0 :). Finally, the file synchronization is fast and efficient, sharing has been greatly improved, the clients are better… It just works! Build a home server and have it running on your own internet connection. The most private and secure solution. You data will stay at home, on your hardware! Rent a dedicated server at an internet service provider. Rent a shared web hosting service. Limitations due to the shared hosting: for instance, free disk space may not be reported correctly, some complex owncloud modules will be hard to configure. In this article we will focus on shared web hosting. That’s the most cost efficient solution, doesn’t require you to dedicate hardware to Owncloud, and it will have good internet performance. It’s a good place to start! The limitations are not going to be a problem for all basic functionalities, and if you feel limited later on, you can always migrate to a dedicated server. If you prefer to start with a dedicated server, at home or rented, the instructions in this guide will still do the job, but we will not cover the installation of the basic components (PHP, Apache, MySQL…) and assume that the prerequisites are already in place. So! If you are ready to start, subscribe to a shared hosting service, choose a nice domain name for your cloud and get ready for the journey! This entry was posted in ownCloud and tagged OwnCloud on 28 October 2014 by Fried.